Diabetes is one of the most dangerous diseases with the people nowadays. This disease occurs when your blood sugar is too high. Insulin helps glucose (sugar) from food get into your cells to be used for energy. Diabetic patients are unable to make enough or any insulin. So glucose stays in their body and cells of the body don’t get it. Glibenclamide helps to treat type 2 diabetes. It was the most popular sulfonylurea, in U.S. as of 2003. Glibenclamide is a generic drug. It belongs to the class of medication known as sulfonylureas. It is an anti-diabetic drug closely related to sulfonamide antibiotics. This drug is used to treat type 2 diabetes mellitus. In U.S it is called as Glyburide. Insulin is produced by the pancreas. It controls sugar levels in the blood. Glibenclamide stimulates the cells in the pancreas that produce insulin called as beta cells. This helps the glucose, move from the blood to the inside of the cells. The process ultimately lowers the level of the sugar in the blood. Thus Glibenclamide causes the beta cells to release more insulin and decrease the amount of sugar in the blood. Controls blood sugar levels in diabetic people (formerly adult onset). Useful for people who don’t tolerate metformin. Reduce the risk of diabetic complication. Treating type 2 diabetes, when only diet and exercise is insufficient to control blood sugar level. Sometimes it may be used to treat conditions not included in the medication guide. Glibenclamide is a generic medicine available in the form of a tablet of strength 2.5 mg and 5 mg. It is an oral tablet to take by mouth. Adult: Starting dose is one tablet every day after the breakfast or first main meal. If it gives good result than one tablet is asked to continue as a maintenance dose. In case of unsatisfactory results, the doctor may increase the dose as needed. The maximum dose is 15mg/day. The medicine is used only along with the diet & exercise. Children: – Glibenclamide is not used in children. What are the precautions in taking Glibenclamide? Consult your doctor or pharmacist in certain conditions like if you have /are. Use with caution in elderly, to avoid the risk of hypoglycemia. Limit the use of Glibenclamide in the pregnant and breastfeeding. Clear doubts with your doctor regarding the drug. The generic and the brand version of Glibenclamide both show same active ingredient with the same effect. The difference lies in the price of the two. Brand Glynase is costlier as compared to generic Glibenclamide. It is due to the packaging, pricing, and the band name. It also includes another cost of research & development. Generic medicines don’t spend much on research and development. So it is always beneficial to go with generic with the same effect in unbelievable low cost. Pack of 100 tablets of 2.5 mg costs $ 15, Per Unit cost is $ 0.15. 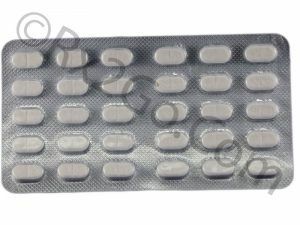 Pack of 100 tablet cost of 5 mg costs $ 14, Per Unit cost is $ 0.14. Pack of 100 tablets of 1.5 mg costs $ 186.34, Per Unit cost is $ 1.86. Pack of 100 tablets of 3 mg costs $ 312.34, Per Unit cost is $ 3.12. Pack of 100 tablets of 6 mg costs $ 490.19, Per Unit cost is $ 4.90.